Should you be without any information and listening to this music, you could easily believe this is some electro-acoustic music; maybe of objects pushed around on a carpet, but then heavily amplified; very soft in volume but very powerful at the same time. This is some fascinating stuff. -Frans De Waard, Vital Weekly. A duo featuring the hollowed-out of amplified clarinet and trumpet, Sound of the Mountain comes from a strong history of improvisation and extended performance techniques, offering their audience long-form deep listening experiences through the sculpting of vitalized breath. Since forming in 2015, they have played over 100 concerts together, developing a sound language which merges acoustic and electronic textures through amplification and extended performance techniques. With this language they create long-form improvised soundscapes, evoking a vast range of textures, from silence and spaciousness, to rumbling bass and room saturation. The duo works with closely-mic’d instruments and minimal equalization, avoiding the use of effects pedals and loops, such that their constant physical attention drives the music. The whistles and creaking of metal and reed anticipate the more dense moments of distortion and feedback in pieces that can be appreciated as discreet moments, or longer forms. Active touring artists, they have played internationally throughout Japan, Taiwan, Vietnam, Malaysia and Australia, and coast-to-coast throughout Canada. Making a point of collaboration, the duo has collaborated with Japanese improvised music pioneers Toshimaru Nakamura, Tetuzi Akiyama, Takahiro Kawaguchi, Michiyo Yagi and Akira Sakata , Canadian experimental trailblazers like the electro-acoustic duo Instant Places, Tone Deaf’s Matt Rogalsky, or Guelph’s own hurdy-gurdy player Ben Grossman, and members of Quebec’s experimental electronic community Alain Lefevbre, Anne-F Jacques, and Emilie Mouchous, along with many many more. Favouring community-building and DIY ethics you’re most likely to hear them playing in your friend’s basement, artist-run-centres, galleries and cafes. Artist in search of never-before-seen images and new perceptual experience. He makes mainly moving image and works related to it. There are works which cross between abstract and concrete, sound and image. In some film works, he focused on the materiality of film and applied it as sculpted objects. 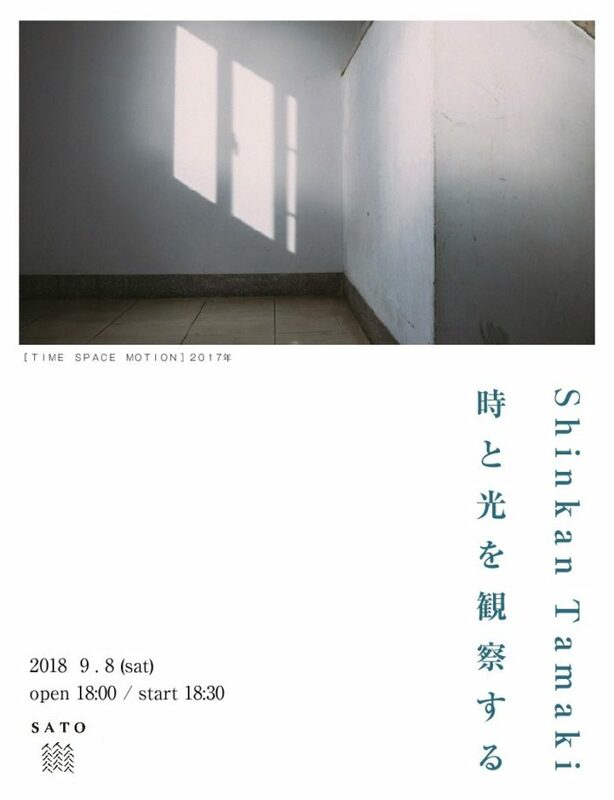 Recently, He makes video works which we observe optical phenomena in our daily life. And he also shows live performance that he manipulate lights with glass and prism. The works were screened at International Film Festival Rotterdam(The Netherlands), Media City Film Festival(Canada), Kuala Lumpur Experimental Film, Video & Music Festival(Malaysia), and so on. 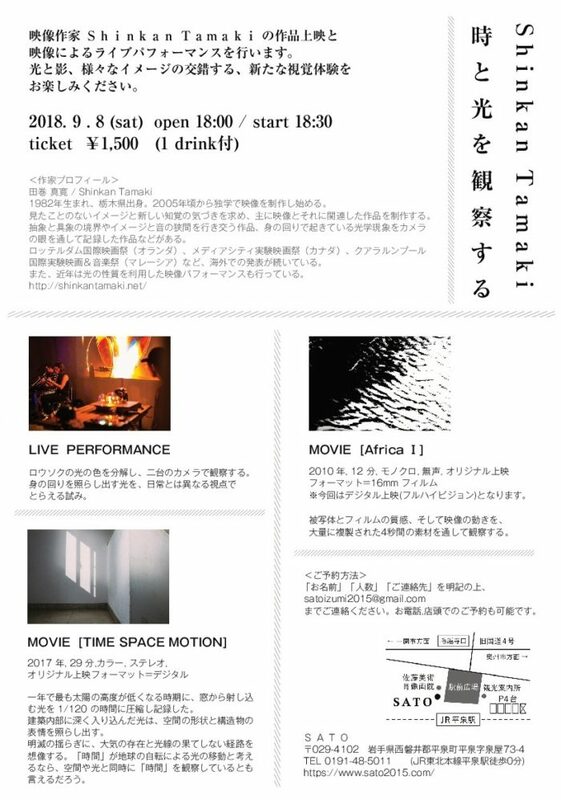 Organizer of experimental events in sound and image “Sound Screening”. Vol.6 is as experiment station of sound, light, and physical expression. 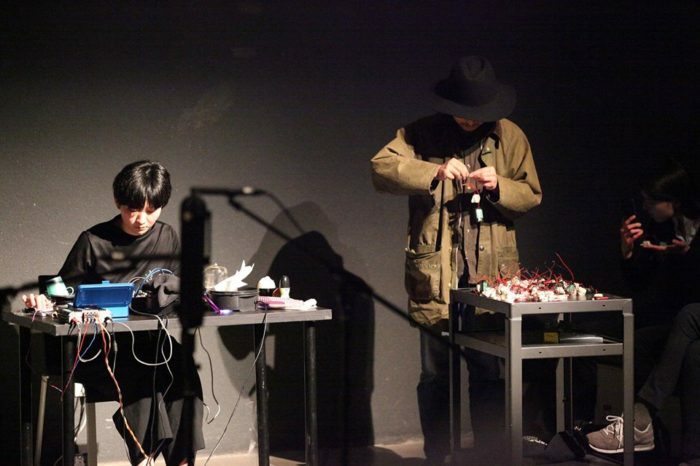 Hiroyuki Ura is an active musician around experimental and improvised music scene. He also organizes a lot of music events to introduce musician from overseas. He will play solo performance this time. 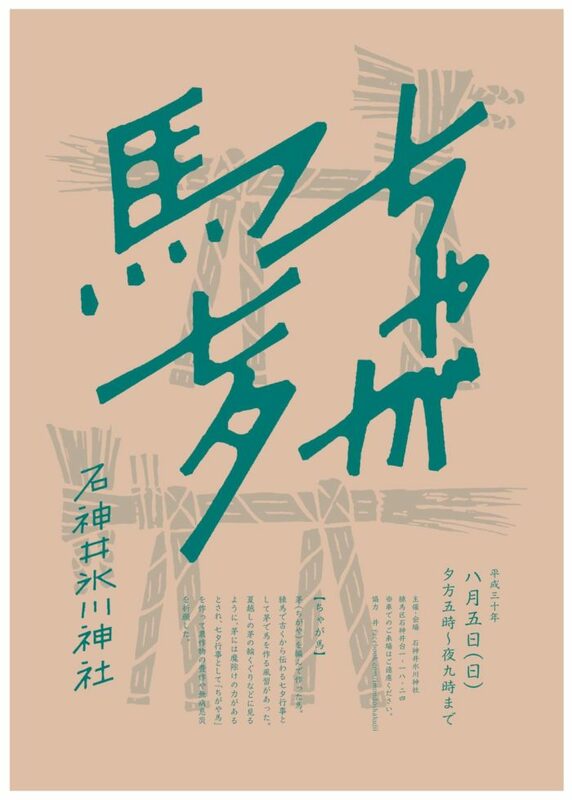 Yuriko Suzuki(dance), Shinjiro Yamaguchi(sound), and Shinkan Tamaki(light) will play Ura’s score. The score is composed of 26 variations which are combinations of Long/Short, Loud/Soft, and High-pitched/Low-pitched. Three performers play them on each scale. 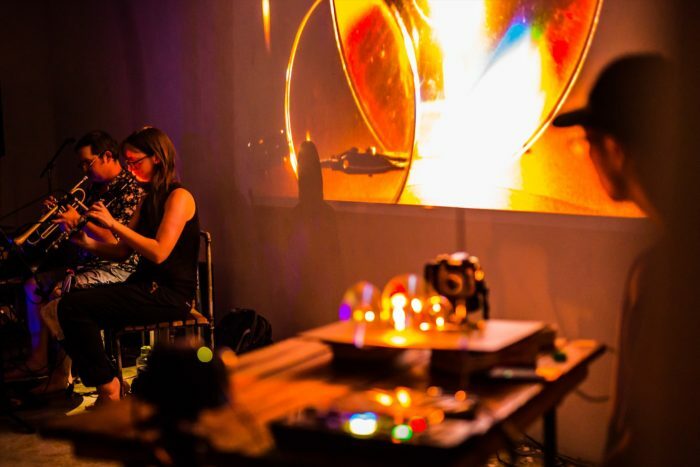 Furthermore, Siedl/Cao from Vienna will show a new performance which contains visual and audio elements. Kami-Shakujii Sta. on Seibu-Shinjuku line, 5 minute walk from North exit. 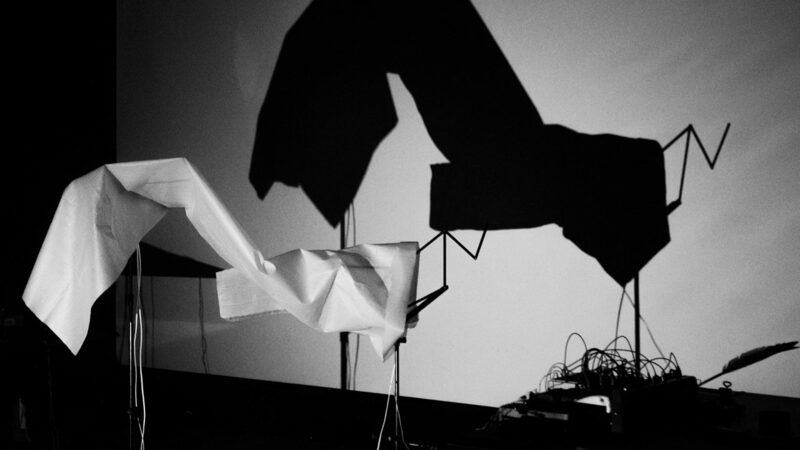 Siedl/Cao is a Vienna-based composer-performer and sound artist group. 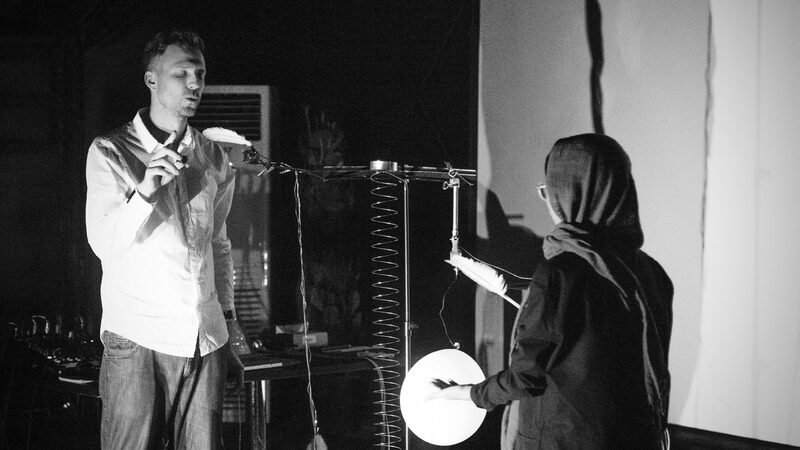 They work in the field of contemporary electronic and instrumental music, music theatre and sound art. They are Cao Thanh Lan from Vietnam and Gregor Siedl from Austria. Siedl/Cao is one of 5 groups from Austria that are selected for the renowned program New Austrian Sound of Music 2018-2019 in the category Contemporary Music. Their works have always been centered on the physical experience of sound the inherent link between visual and audio elements. Born(1984) and lives in Tokyo. Graduated from the contemporary dance course at the Nihon University College of Art. YURIKO SUZUKI studied under Kuniko Kisanuki from the age of 16. She also trained at the Salzburg Experimental Academy of Dance. Suzuki was awarded the Jury Prize at Yokohama Dance Collection EX 2012 and was a finalist of the Toyota Choreography Award in 2012. She has performed her work in Japan and overseas. With an interest in the relationship between body and thought, she endeavors to develop her dance practice through habitual inquiry. I got a very heartwarming feedback and homage to my video “time space motion” from Sage Pbbbt. Thanks, Tone List, Elizabeth and Craig(Sound of the Mountain) and Sage. 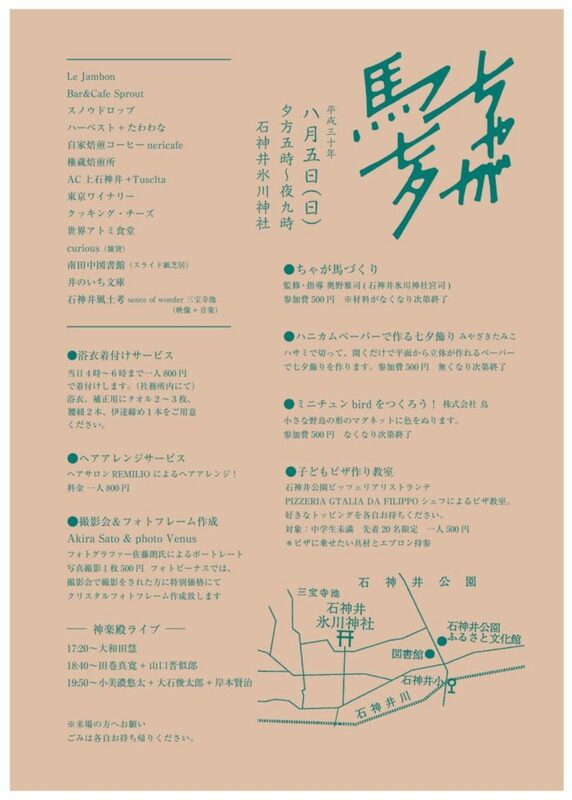 I will perform at a part of Zhao Cong&Zhu Wenbo (from Beijing) Japan tour on 15th June. Born in 1988, Beijing. She formed duo project Xiao Hong & Xiao Xiao Hong with Zhu Wenbo in 2010, being as contact microphone singer then bass guitar player, and released 3 studio albums in totally different music directions, from lofi ambient pop to weird no wave tune. From 2015, she started another outsider rock group Not in Catalog. 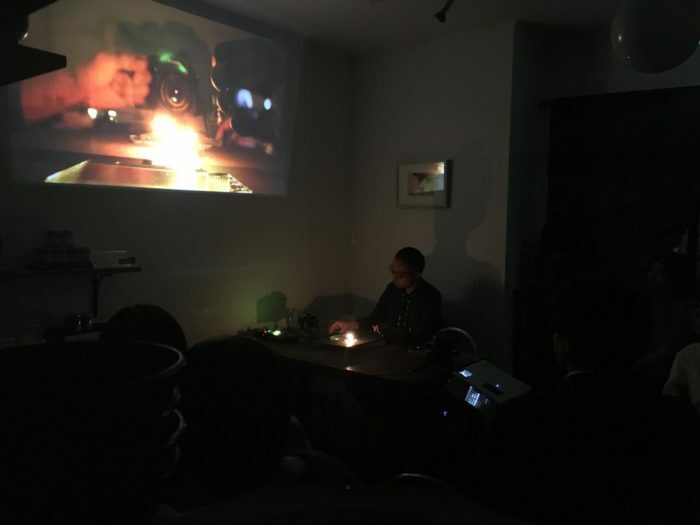 Also from 2015, Zhao Cong began to do solo performance, using no-input-mixer feedback, cardboard paper tube, light’s motor and found orbjects, play slow changing music. She has released a solo album Afternoon(2016), and involved in many other Zoomin’ Night cassettes. Now lives in Beijing. He has formed many different music projects including Fat City, Xiao Hong & Xiao Xiao Hong, No Performance, Not in Catalog, from experimental and underground rock band, to improvisation, composition, practice or game. In solo performance, normally Zhu uses clarinet, simple instrument or self-build sound system’s uncertain feedback. From 2009 to 2015, Zhu organized the weekly experimental/improvisation/noise performance series Zoomin’ Night on every Tuesday. A lot of Beijing’s new generation experimental musicians began their performance from Zoomin’ Night. Now Zoomin’ Night is a cassette label, latest releases including non-music compilation ‘there is no music from china’ compiled by Zhu and Yan Jun. 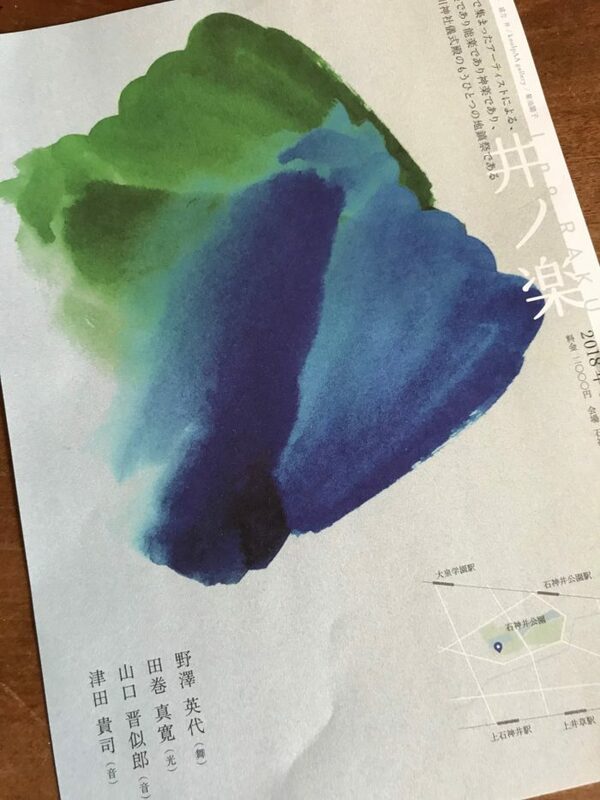 Zhu is also an organizer of Miji Concert which was started from 2011 by Yan Jun, focusing on sound based new music.